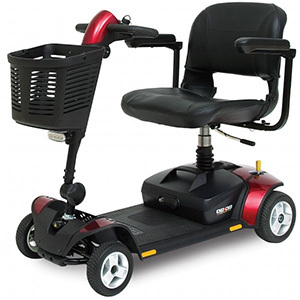 Mobility scooters have become one of the most important mobility aids for the people above 65 years of age and more. This scooter can prove to be very useful in daily life of old ones as they can easily carry out their daily chores by making use of these scooters. There are generally two types of mobility scooters such as standard as well as portable mobility scooters. If you are looking for a flexible scooter option then portable scooters is the best option for you. This is because a portable scooter is easy to carry and disassemble, so you can take these scooters where you want. These scooters are also very eco-friendly as they run on battery. Functioning of these scooters is very much similar to moped. But it is not that much fast due as it is designed considering the safety of the old ones. Speed of this scooter is in a range between 5 to 20 miles so that person can easily travel with proper comfort. In this scooter also you can make use of the steering and accelerator to handle the scooter. Independent – use of this scooter makes the lives of old ones very friendly and independent. They don’t feel dependent any more as they can make use of this scooter. They can move here and there whenever they need. Medical aid – these scooters enhance and ease the life of people who met with an accident or have any kind of physical problem that doesn’t allow them to move. That is why these scooters have become very useful for many people.